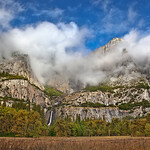 "Yosemite Falls and Cooks Meadow during Fall"
"Yosemite Falls and Cooks Meadow during Fall" A storm was clearing and beautiful clouds were changing every few minutes. 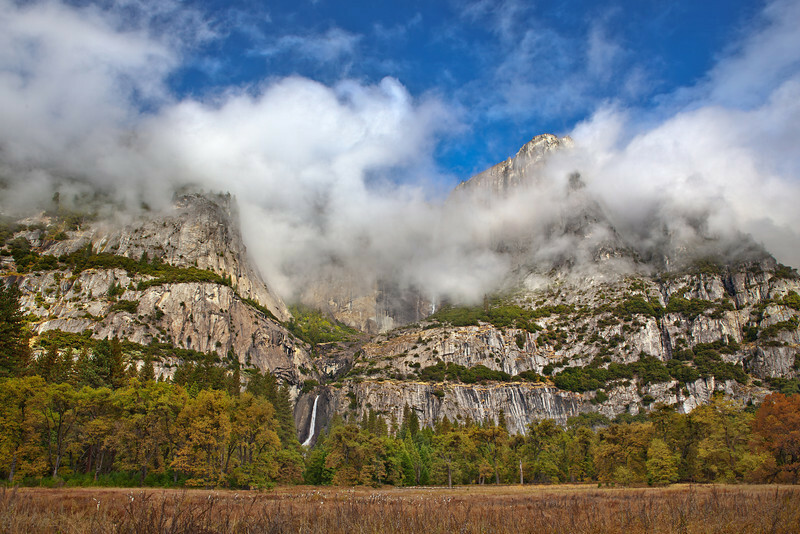 You can see lower Yosemite Falls flowing in between the trees. Another beautiful day in Yosemite!